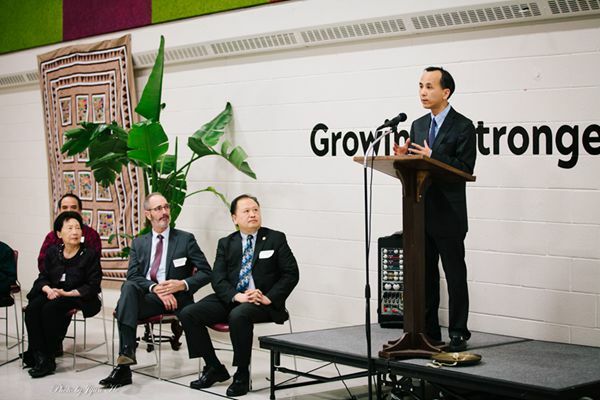 On March 20, 2018, Deputy Consul General Liu Jun attended a gift exchange ceremony celebrating the sister city relationship between St. Paul and Changsha at Merrick Community Center in St. Paul, Minnesota hosted by the Minnesota China Friendship Garden Society. 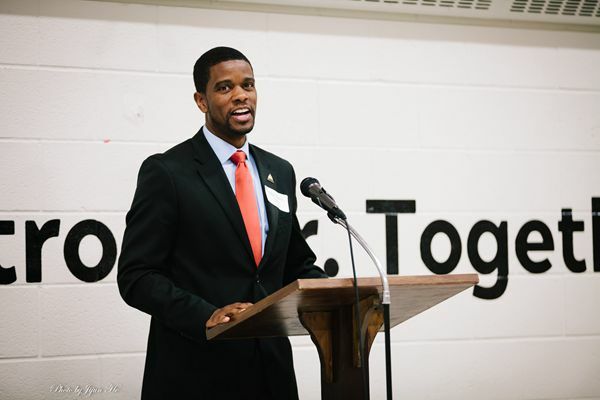 Mayor Melvin Carter of St. Paul, President Linda Mealey-Lohmann of the Minnesota China Friendship Garden Society and more than 100 local community representatives attended the event. In his speech, Deputy Consul General Liu Jun said that the second phase construction of the Chinese Garden in Minneapolis was just completed in last September. Today we are back in Minnesota to celebrate positive progress in the construction of the St. Paul-Changsha Chinese Garden. The presence of two Chinese Gardens in the Twin Cities (Minneapolis-St. Paul) can be well put in the ancient Chinese proverb “Good things come in pairs”. Deputy Consul General Liu Jun stressed that the relationship between China and the United States is of vital importance. It is the common responsibility of the two countries to further promote friendship and enhance mutual understanding. The Chinese Garden symbolizes the friendship between China and the United States, and between St. Paul and Changsha. It embodies the common desire of the peoples in the two countries for a better life. 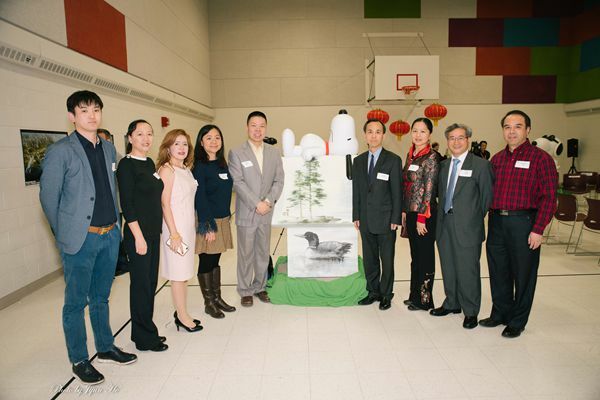 The Consulate General is willing to cooperate with relevant partners including the city of St. Paul and the Minnesota China Friendship Garden Society to ensure the smooth construction of the Chinese garden. Mayor Carter said that he has only sworn in as the Mayor recently. He was pleased to see that the city of St. Paul has undergone tremendous changes in recent years and has grown into one of the most diverse and dynamic cities in the United States. The only thing that has remained unchanged is the city’s goal to provide a better life for its citizens. 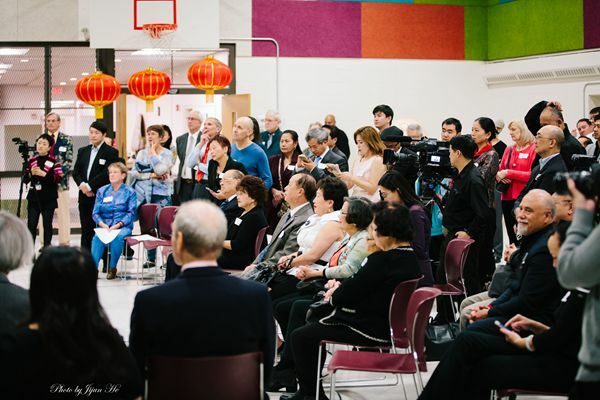 All ethnic groups in St. Paul, including the Chinese American communities, have voluntarily contributed to the development of the city. This Chinese Garden is the best embodiment of such contribution. The city of St. Paul hopes to continuously promote friendly relations with China and the city of Changsha, carrying out more multifaceted collaborations that benefit both sides. 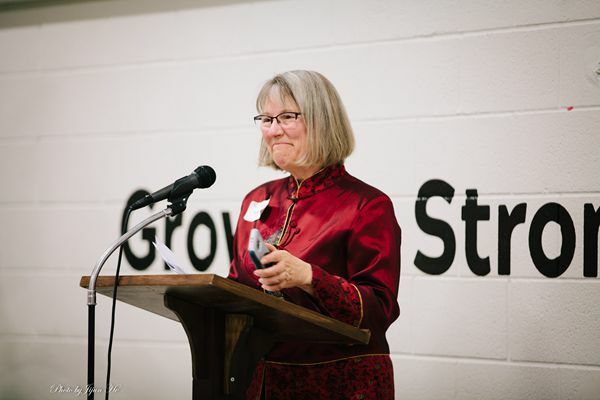 President Mealey-Lohmann and six local community representatives who funded the St. Paul-Changsha China Friendship Garden also shared their special connections with the Chinese garden. They said that cultural exchanges allow the two peoples to enhance understanding, dispel misunderstanding and establish deep friendship. The St. Paul-Changsha Chinese Friendship Garden demonstrates the good wishes of the citizens of St. Paul and Changsha to each other. The Chinese Garden will play a positive role in promoting friendship between the two peoples and strengthening the close relationship between Minnesota and China. 2018 marks the 30th anniversary of the establishment of sister city relationship between Changsha and St. Paul. The Changsha Municipal Government will donate “Xiangjiang Pavilion” to St. Paul as part of the Chinese garden. 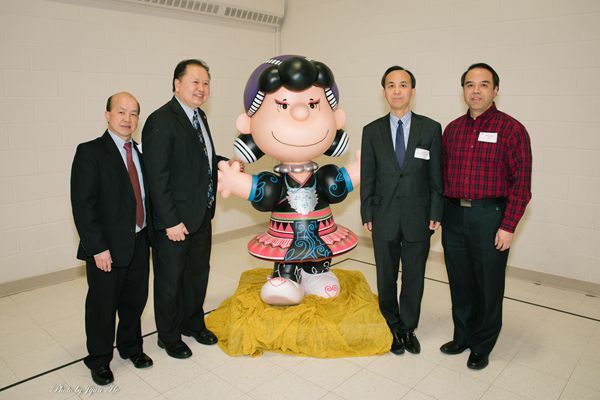 In return, St. Paul will give five statues based on characters from the “Peanuts” comic to Changsha as a gift. These statues will be shipped to China next month. The “Xiangjiang Pavilion” will arrive at St. Paul this summer. It is expected that the first phase of the garden will finish construction within this year.